When styling an oversized top it is important to take into consideration proportions. Very few people can wear head to toe oversized without looking larger than they are. 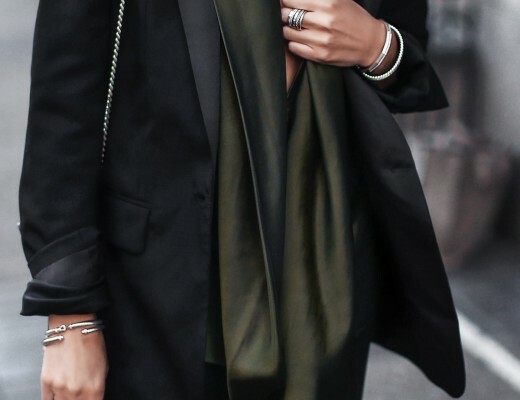 Pairing oversized with fitted pieces balances the proportion and is very flattering. I’m in love with this slouchy shoulder knit with extra long sleeves from Nordstrom. I paired it with an equally oversized scarf to play up the comfy vibe. 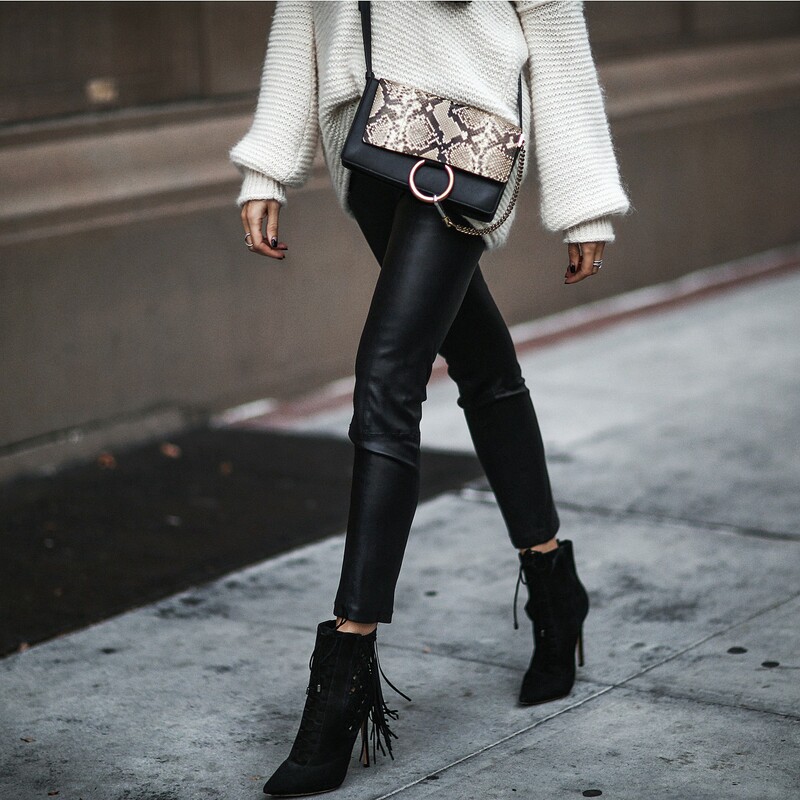 Big knits have a way of making a pair of leather pants look effortless. I paired my look with fringe booties to play on the fringe in the scarf, but a great pair of sneakers would be perfect for an extra cool daytime look. So chic. Love how soft and cozy your sweater looks. Free People nails it every time! This is incredible. 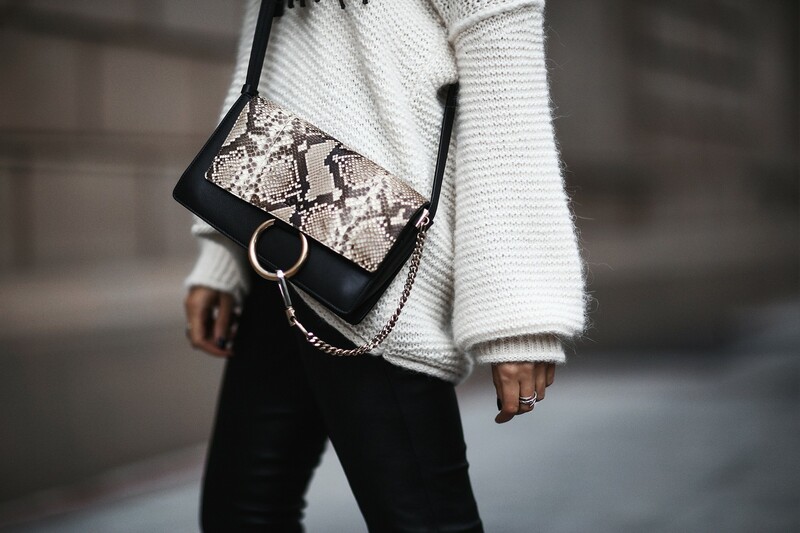 Seriously can’t get enough of the oversized sweater look! Love to see the sweater and scarf together and how its balanced out by the slimming pants. This looks so fab on you! Such a chic look, and such helpful hints! All Media © 2012-2018. Any use of images must be properly linked back to this site.